Parliament is considering a bill which would require far greater levels of disclosure in the Public Investment Corporation’s unlisted investments. While there are those who argue that the PIC should be shielded from greater scrutiny, these arguments are plainly wrong. The legal suit filed by Bantu Holomisa’s United Democratic Movement demanding that Finance Minister Nhlanhla Nene suspend the Public Investment Corporation’s Chief Executive Officer, Dan Matjila, could be an important step to recovering some level of accountability but government employees and taxpayers should not let this distract us from the changes that need to be made. At present, Parliament is considering a bill which would require far greater levels of disclosure, particularly in the Public Investment Corporation’s (PIC) unlisted investments. Progress on this bill suffered a setback at the beginning of the month when Treasury sent a letter to the finance committee considering the bill. It objects to the disclosure requirements for unlisted investments for reasons that are not convincing. At a hearing before the standing committee on finance (SCOF) in which investigative journalism unit amaBhungane motivated for greater disclosure, committee chair Yunus Carrim argued that disclosures such as minutes of investment decisions can’t be made public in a market economy. At the same hearing, Matjila argued that the PIC could not be put at a disadvantage to the private sector and the PIC would need the permission of the private companies in which it invests in any event. Matjila’s argument was one which called for a level playing field between the PIC and private sector competitors. The push-back on greater disclosure had the support of the ANC and, also, the Economic Freedom Fighters. The EFF’s Floyd Shivambu claimed that it is the PIC that makes it possible for black South Africans to participate in the economy, presumably by accessing funding, and that it is being unfairly targeted. The arguments that would shield the PIC from greater scrutiny are plainly wrong because the premise of that argument is fundamentally flawed. Most of the controversial or dud investments such as Independent Media, AYO Technologies, Erin Energy, VBS Mutual Bank, S&S Oil Refineries and the company that Holomisa’s suit claims allegedly paid off Matjila’s alleged girlfriend’s loan are housed in the Isibaya Fund. This fund, according to the PIC’s website, provides finance for projects that generate financial returns while also supporting positive, long-term economic, social, and environmental outcomes for South Africa. The emphasis on investments with a developmental focus demonstrates the PIC’s commitment to the country’s growth and development aspirations. As an asset class, it would be in the nature of private equity (venture capital is a special subsection of private equity). Private equity is a class of investments which, as the name suggests, is private. In the investment world, start-up companies, high potential growth companies or companies that need to be turned around can operate better if there are not the same reporting/disclosure requirements. One of the attractive aspects of private equity is exactly being able to do what is necessary without constant public scrutiny. Private equity type investments tend to be less liquid (can’t buy and sell the shares that easily) and therefore are held for longer periods of time. An investor in a private equity fund typically commits capital for a decade. Private equity funds, like any other investment fund, set out to raise capital with a strategy to buy operating companies which is partially funded by the capital raised but also by raising additional debt, then investing in new capacity, reducing tax and cutting costs. The companies acquired and then restructured in this way are then sold before the fund’s termination date, hopefully at a profit and these profits are then distributed to the original investors in the fund. There are two main components in private equity. The investors in the fund (also called limited partners) who commit capital for 10 years (these cannot easily be withdrawn) and the managers who first raise the investment (usually with a prospectus-like document and presentations setting out their general investment approach, experience and past performance) and then actively manage the fund and the underlying companies that the fund acquires. The managers (or general partners) are typically remunerated on a “two-and-twenty” basis. They get two percent of the value of the capital raised annually as fees in much the same way as other investment managers and a 20 percent carry above a hurdle rate. The hurdle rate is agreed upfront which is the minimum return that limited partners will receive. Above that hurdle rate, the managers get 20 percent of the returns. In general terms, the managers are also expected to put in their own money into the fund along with the limited partners to secure some skin-in-the-game. There are several variations to the above standard model. Some well-established private equity firms manage several funds simultaneously. Of course, there are real concerns about how the model works and favours the general partners, notably very favourable tax treatment, but this is the way private equity works. A large source of investors (to become limited partners) are the pension and provident funds. However, this is strictly regulated in terms of the Pension Funds Act. Regulation 28 sets out what pension fund trustees’ prudential requirements are for making and remaining in any investment. Regulation 28 sets limits on the maximum exposure that a pension fund can have in different asset classes including private equity. At present, provided other conditions relating to skill and experience are met, a pension fund cannot have a greater than 10 percent exposure to private equity as an asset class and exposure to any one fund (as a limited partner) cannot be greater than 2.5 percent of total assets under management. In addition, there are numerous reporting requirements including quarterly reports setting out the private equity fund’s performance, its investment related activities, the value of the fund’s investments and other information. The PIC’s main fund is the Government Employee Pension Fund (GEPF), representing 90 percent of all funds under management. 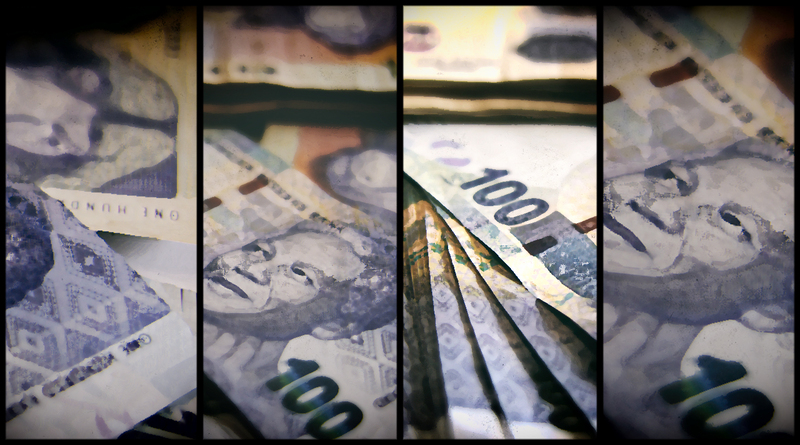 The GEPF is not regulated by the Pension Funds Act but under a different (and less adequate) regime https://www.dailymaverick.co.za/article/2017-09-22-analysis-south-africans-must-defend-pic-till-the-bitter-end-failure-could-cost-us-the-country/ . The GEPF doesn’t have a regulation 28 but within the PIC, there is something similar. Investments in unlisted companies, though the Isibaya fund cannot be more than five percent of total assets that the PIC manages. On the face of it, Isibaya might be seen a just another private equity fund trying to compete in the market with its private sector peers and therefore should not be at a disclosure disadvantage. But that would be wrong. With around R1.9 trillion under management, the PIC is by far the biggest investor in the country and five percent, although a small share of the total, still represents a fund size of R95 billion. By way of comparison, Ethos Capital’s Fund VI, a very large fund for private equity in South Africa, raised R8.6 billion in 2011 before it closed and commenced investing http://www.ethos.co.za/our-firm/businesses/private-equity/large-buyouts/ethos-fund-vi/ . The problem is that if IsiBaya is used as some sort of slush fund for the politically connected and makes investments without proper due diligence, the losses can be washed out by the performance of the traditional investments that represent 95 percent of the PIC’s funds under management. The PIC simply reports at an aggregate level and the performance of IsiBaya cannot be assessed on its own terms. While private sector pension fund members are in a somewhat similar position in relation to exposure to private equity, the private pension funds definitely hold private equity general partners to account. Private equity professionals generally have specific skills that are deployed in the companies in which they invest. They are a breed apart from regular asset managers who focus their efforts on listed shares or even listed debt instruments. Private equity managers are supposed to be very involved in the actual operations of the companies in which they have invested. If a private equity fund invests in a series of duds or is otherwise unlucky, everyone gets to see the extent of the wreckage at worst when the fund period terminates in the tenth year and, in these instances, the managers also lose their own investments in the fund and certainly their “carry’. If a private equity fund blows up (as they regularly do), the general partners’ reputation takes a big knock. One consequence is that would struggle to raise any additional funds, even if some good lessons were learned. These managers then have to dust themselves off and get a regular job or do something else with their professional lives. It is not clear what the situation is at Isibaya. Unlike private equity funds, it is an open-ended fund. It does not have the discipline of a ten-year period within which to produce its investment returns. There are several questions that one could ask: Who are the Isibaya fund managers? What are their skills and experience? Do they have a track record? How these investment managers remunerated? Do they have to invest their personal funds alongside the GEPF funds? Is there a set period, say every ten years, over which performance is assessed? Perhaps the most important question is this: If the investments made by the Isibaya fund perform poorly so that the value of the assets under management falls below the five percent permitted threshold, do they get additional funds to get it back up to the five percent level? If they do, the five percent limit means little as losses get to be replenished with transfusions of additional funds properly belonging to the GEPF members. In short, the GEPF is different due to its size and the fact that it is regulated differently. Current regulation allows failure to occur at IsiBaya, potentially forever. The deflection of greater accountability for IsiBaya investments being the performance of the PIC as a whole is wrong. In important respects, the PIC which holds around 12 percent of the total market capitalisation of the Johannesburg Stock Exchange for the GEPF and other funds it manages, is the market. The correct measure therefore for the PIC is not how it performed against the rest of the market but how it could have performed without the IsiBaya fund.